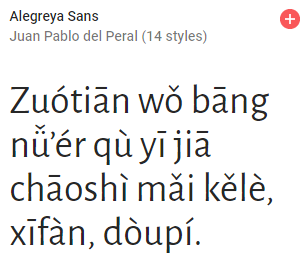 As of January 9, 2018, Google Fonts had 848 font families, 183 of which are display faces. 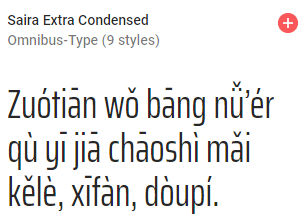 Of those, the following 20 can handle Hanyu Pinyin with tone marks. 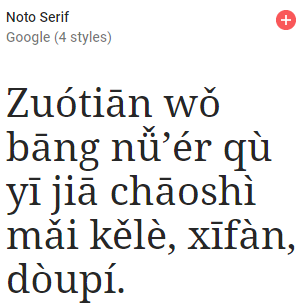 As of January 9, 2018, Google Fonts had 848 font families, 80 of which are handwriting faces. 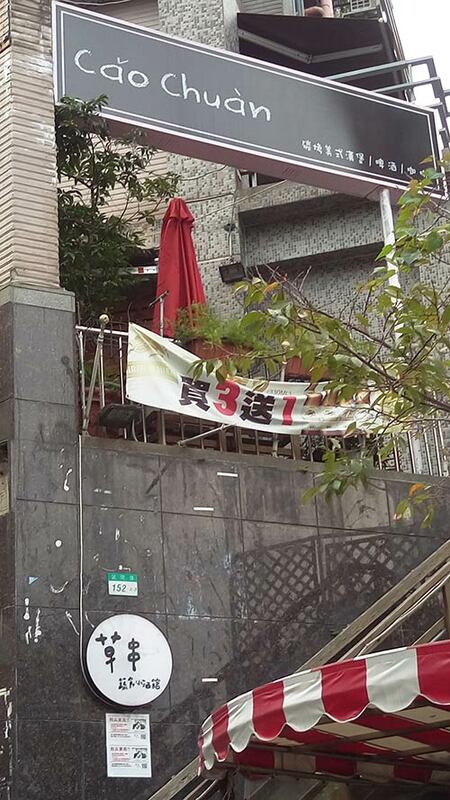 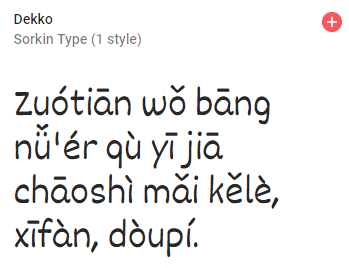 Of those, just 3 can handle Hanyu Pinyin with tone marks. 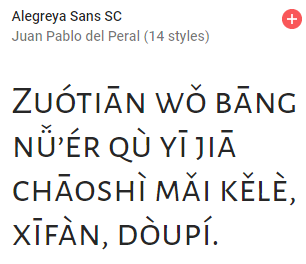 As of January 9, 2018, Google Fonts had 848 font families, 7 of which are monospace faces. 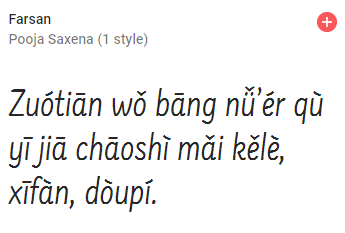 Of those, 4 can handle Hanyu Pinyin with tone marks. 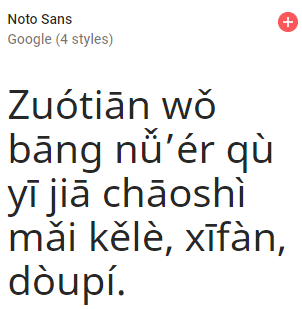 As of January 9, 2018, Google Fonts had 848 font families, 134 of which are sans serif faces. 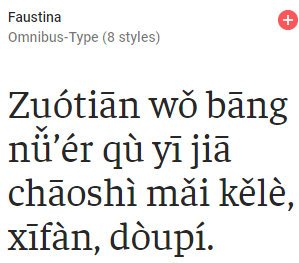 Of those, 22 can handle Hanyu Pinyin with tone marks. 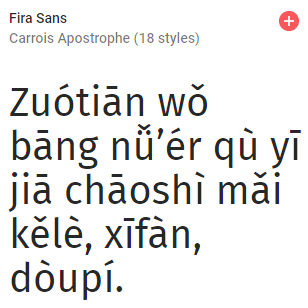 As of January 9, 2018, Google Fonts had 848 font families, 114 of which are serif faces. 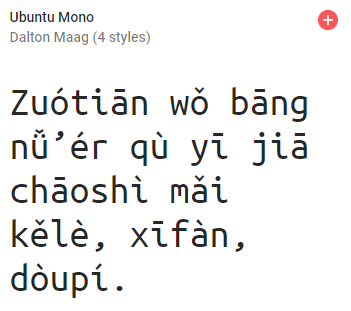 Of those, the following 22 can handle Hanyu Pinyin with tone marks. 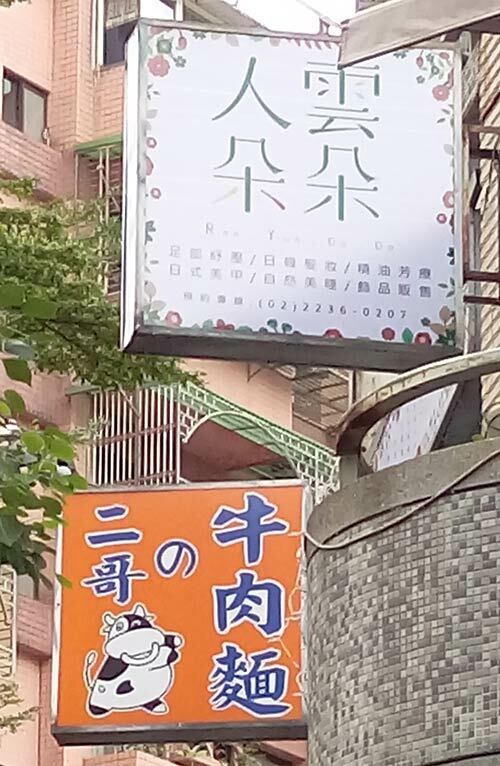 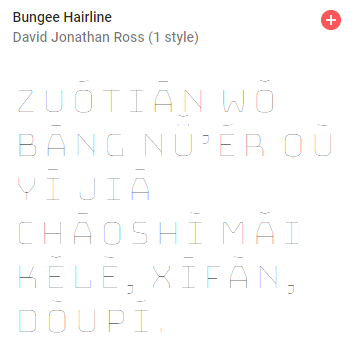 There are plenty of ways to type Hanyu Pinyin with tone marks. 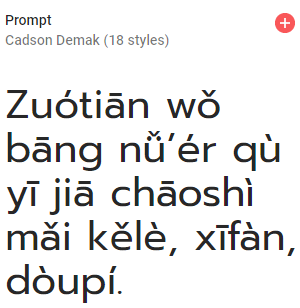 These usually involve typing the tone number after the vowel in question or entering a series of special keystrokes to produce the tone mark. 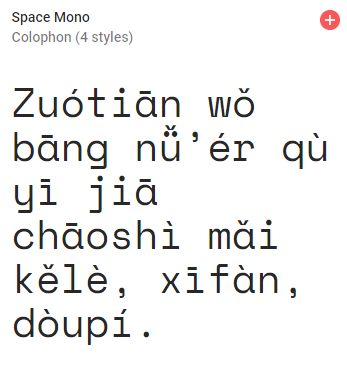 Is there a way to type in Hanyu Pinyin and have the correct tone marks appear automatically — even without typing tone numbers or pressing additional keys? 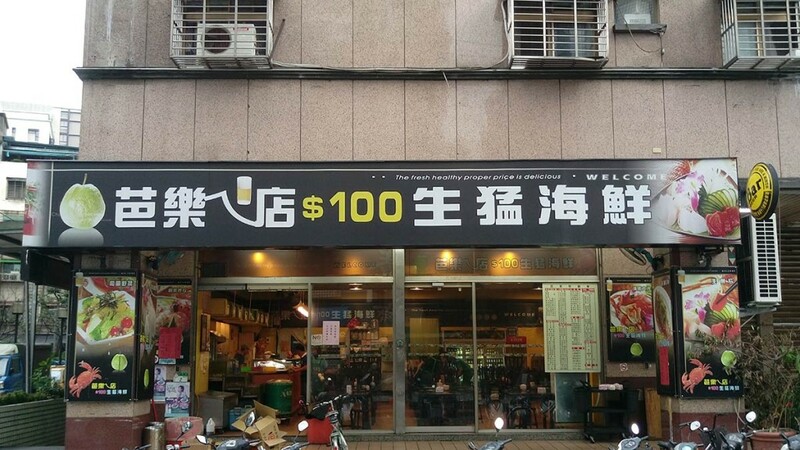 Oh, and for free too, please. 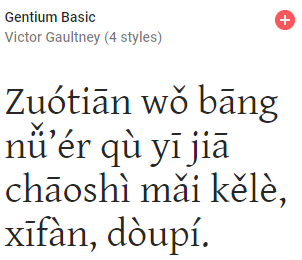 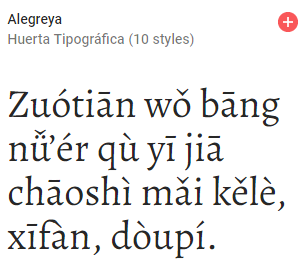 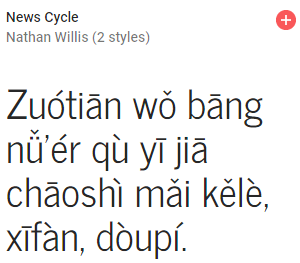 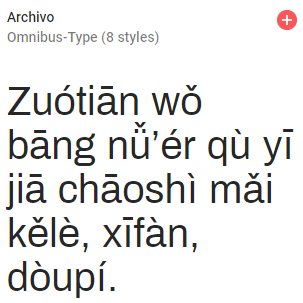 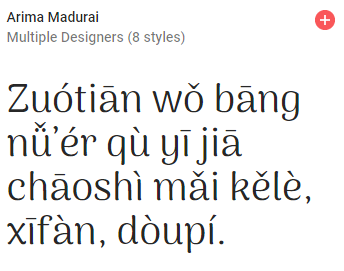 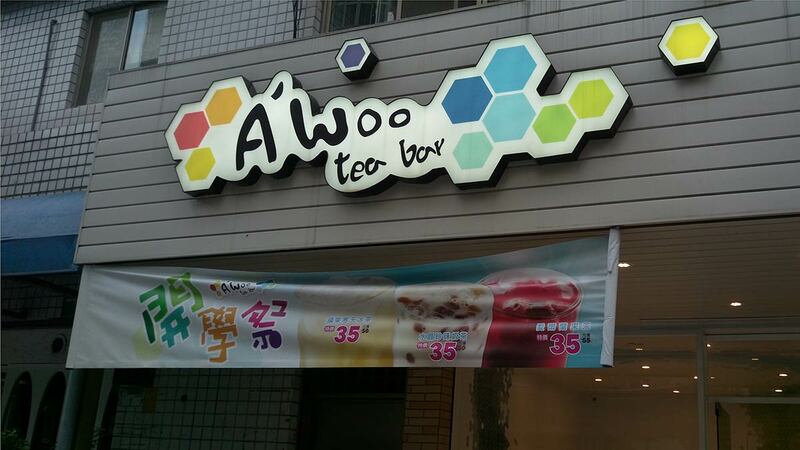 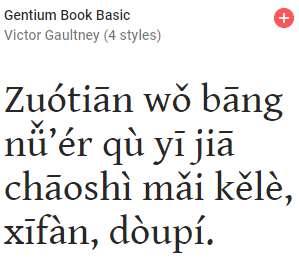 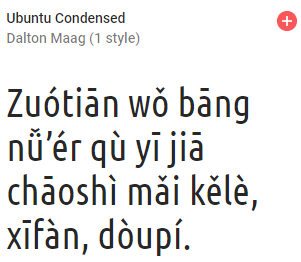 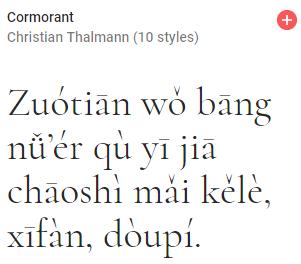 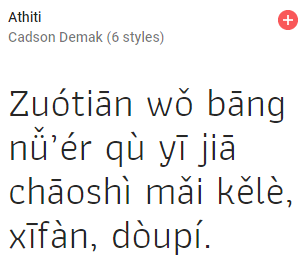 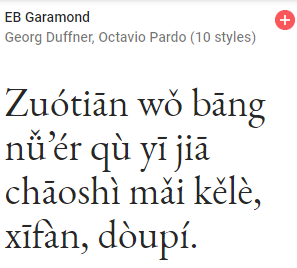 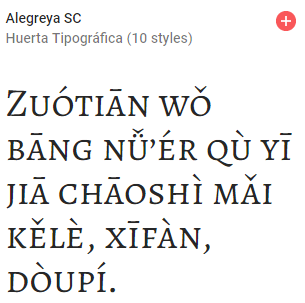 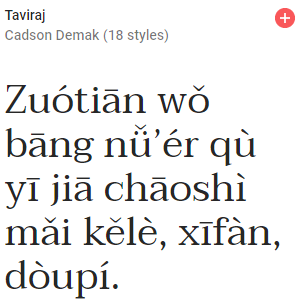 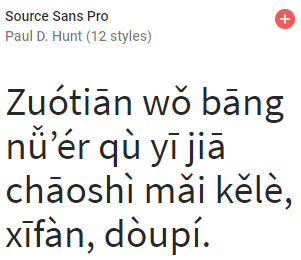 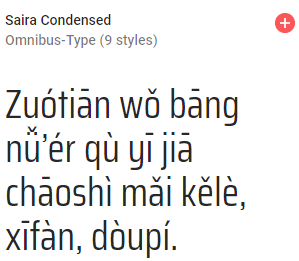 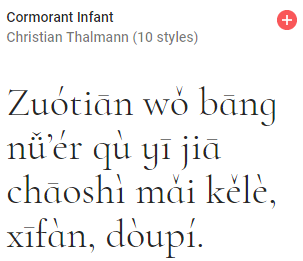 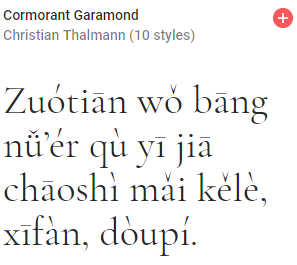 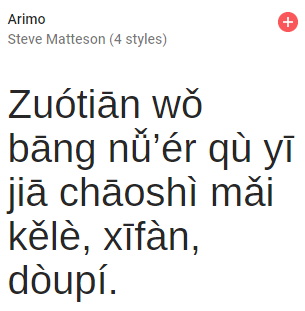 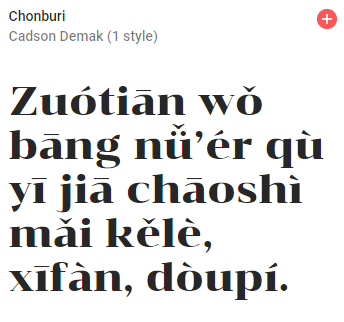 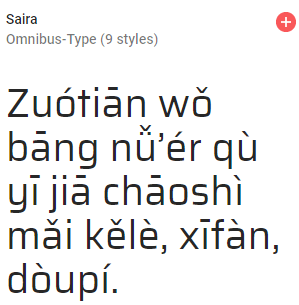 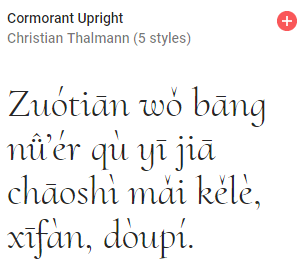 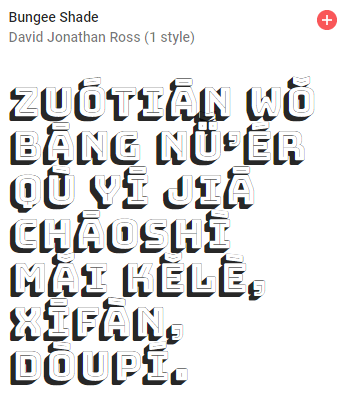 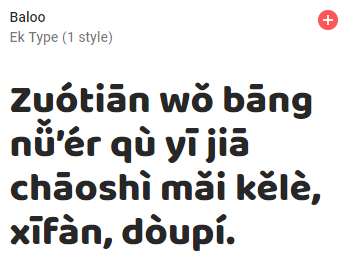 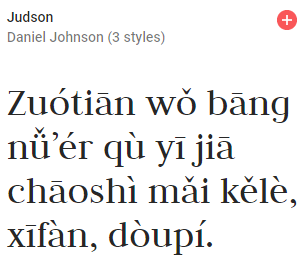 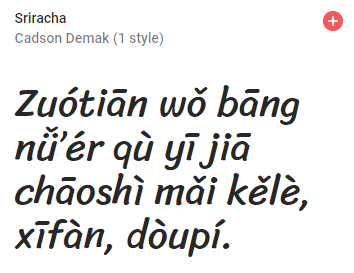 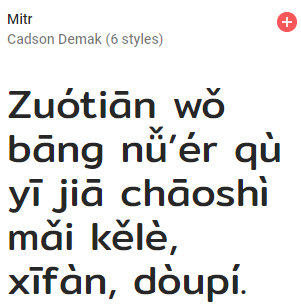 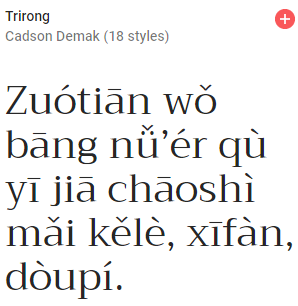 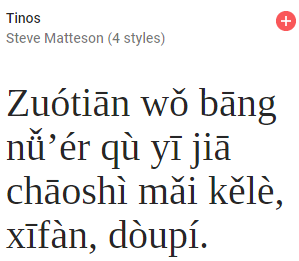 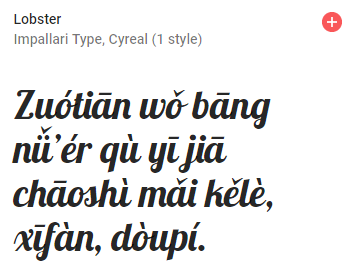 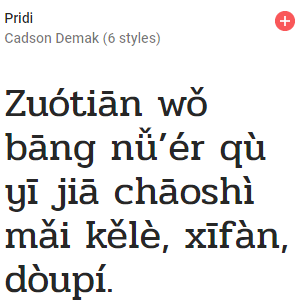 Google Translate’s Pinyin function has come a long way since its inauspicious beginning about eight years ago. 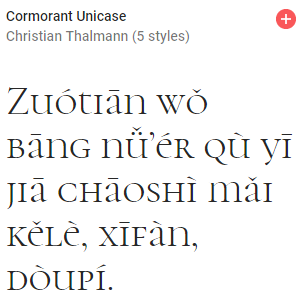 For quite some time it has even offered a way to add tone marks automatically, though few people know of this function, which could still use a great deal of improvement. 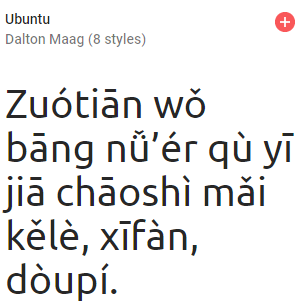 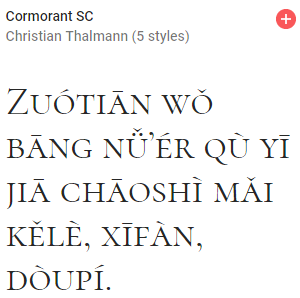 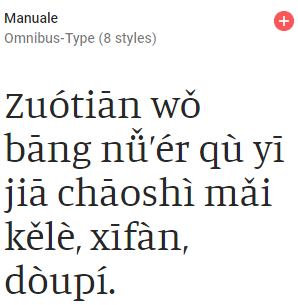 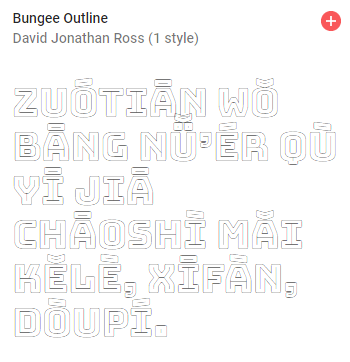 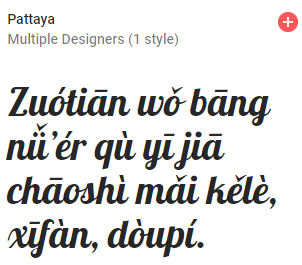 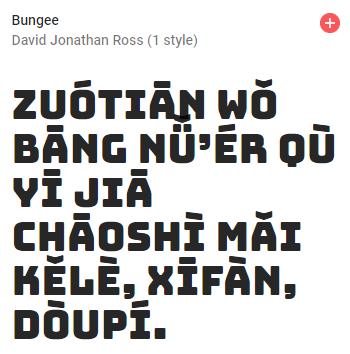 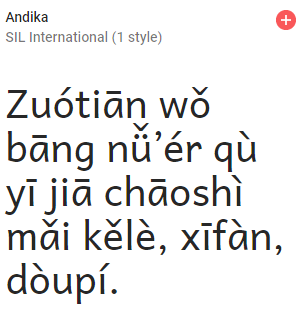 To get Google Translate to produce Pinyin with tone marks as you enter text in toneless Pinyin, first you need to set the system to translate from “Chinese” to “Chinese (Traditional)” or from “Chinese” to “Chinese (Simplified)”. 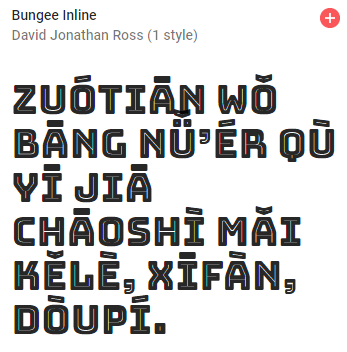 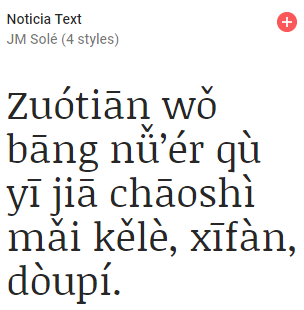 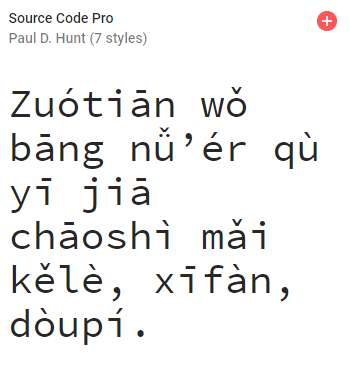 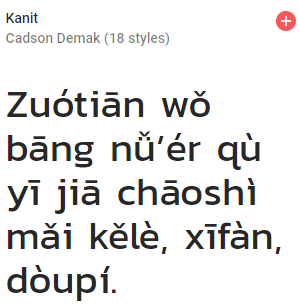 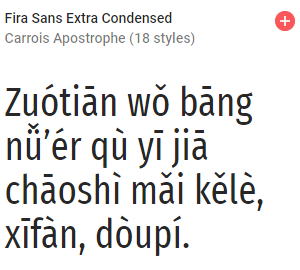 Enter your text in the box and Pinyin with tone marks will appear below the box on the right. 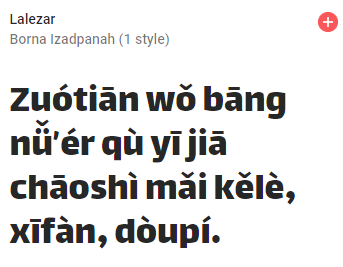 Alas, there are some problems with the system. 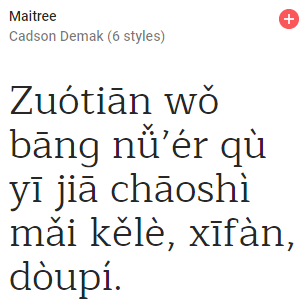 A second significant problem is that the system doesn’t deal well with proper nouns, failing both word parsing and capitalization, though at least it seems to recognize that proper nouns are units, even if Google Translate doesn’t write them correctly. 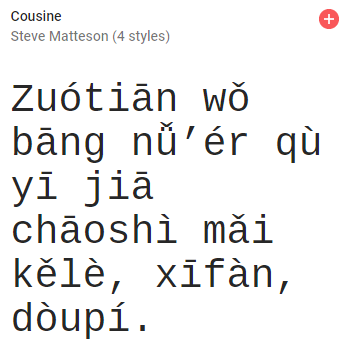 So although Google Translate won’t handle everything for you, it can nevertheless be a useful tool for including tone marks in Hanyu Pinyin. 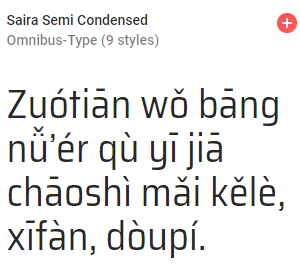 Here’s a public-domain script font: Promocyja.